And then his entire body drops with his signature knee dip – it’s the picture of dejection. 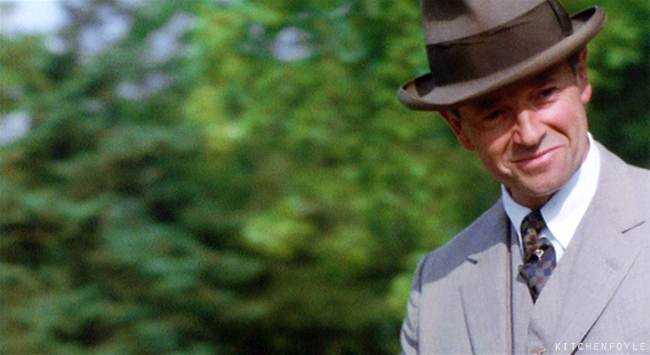 Just love those Mrs Dalloway GIF’s, thank you! So wish GIF’s had sound; Michael Kitchen and Vanessa Redgrave have a similar velvety timbre to their voices – SO attractive. Yes, gifs with audio would be wonderful. Now the door opened, and in came — for a single second she could not remember what he was called! so surprised she was to see him, so glad, so shy, so utterly taken aback to have Peter Walsh come to her unexpectedly in the morning! Now of course, thought Clarissa, he’s enchanting! perfectly enchanting! Now I remember how impossible it was ever to make up my mind — and why did I make up my mind — not to marry him? she wondered, that awful summer? “I often wish I’d got on better with your father,” he said. “But he never liked any one who — our friends,” said Clarissa; and could have bitten her tongue for thus reminding Peter that he had wanted to marry her. Of course I did, thought Peter; it almost broke my heart too, he thought; and was overcome with his own grief, which rose like a moon looked at from a terrace, ghastly beautiful with light from the sunken day. I was more unhappy than I’ve ever been since, he thought. — and then to his utter surprise, suddenly thrown by those uncontrollable forces thrown through the air, he burst into tears; wept; wept without the least shame, sitting on the sofa, the tears running down his cheeks. …all in a clap it came over her, If I had married him, this gaiety would have been mine all day! Excerpted passages from Virginia Woolf’s Mrs. Dalloway corresponding to this scene in which Peter Walsh returns from India and visits the woman who broke his heart three decades earlier. Michael Kitchen – the consummate charmer. An overhead shot and a composite of Foyle’s War filming from this morning. 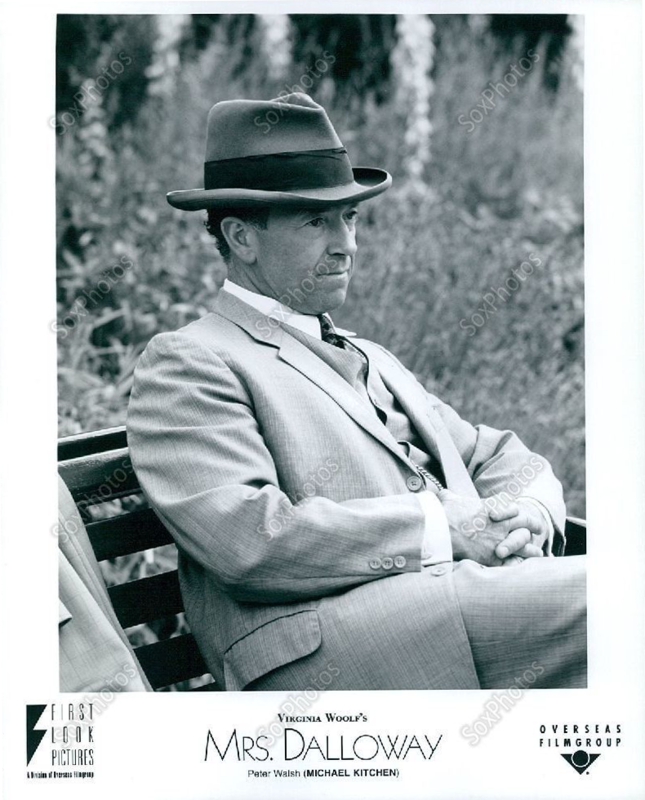 Love the post of Peter Walsh nodding off in the park, KF. You have such a wonderful eye for detail! Mrs. Dalloway is one of my favourite films, but that little gem completely passed me by. I always think my eye for detail pales in comparison to many other MK fans, but thanks. Knew I had to make a gif of this scene when I saw it. Nattily dressed for a stroll through the park. 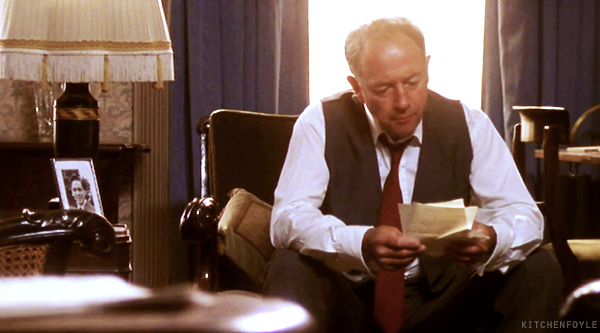 Michael Kitchen evokes the stuff of dreams in this shot. You’re welcome. Michael Kitchen does have a way of reeling one in. I’ve spent the last two weeks checking your posts daily – have become quite addicted (embarrassed smile.) Thank you so much for all the work you’ve done! I think you’ve missed one of the most romantic MK moments – from Mrs. Dalloway near the end. Clarissa goes to the library to fetch Peter and they dance together. Everyone else is dancing around them in the conventional way and Clarissa and Peter are wrapped up in each other. If you have this snippet on video – could you post it? Always thrilled to hear from a fellow fan. I’m so glad you enjoy the site. I’d be happy to post that scene. Thank you so much for this scene of Mrs.Dalloway, it’s my favourite! OK, my vision must be impaired, because somehow, I’m not really seeing the melting expression in his eyes. 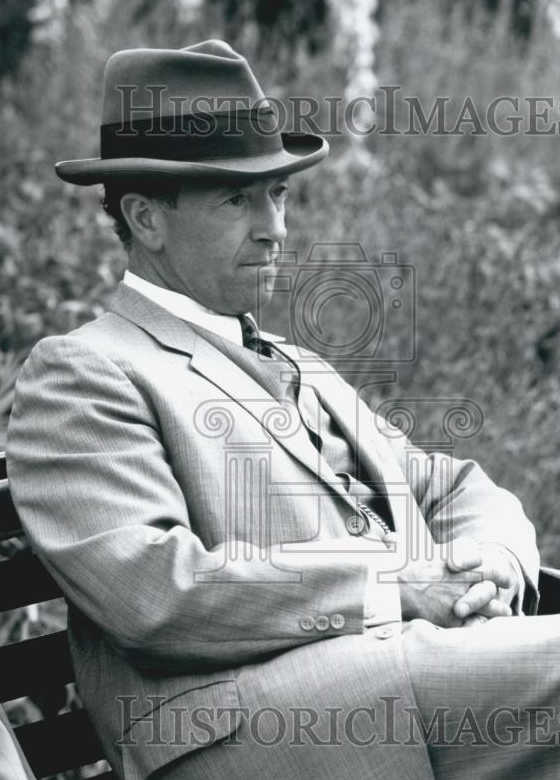 Press photo available on Ebay — Michael Kitchen as Peter Walsh in Mrs. Dalloway (1997).